Winnipeg to Honolulu or Kona, Hawaii - $371 CAD roundtrip including taxes | new record! 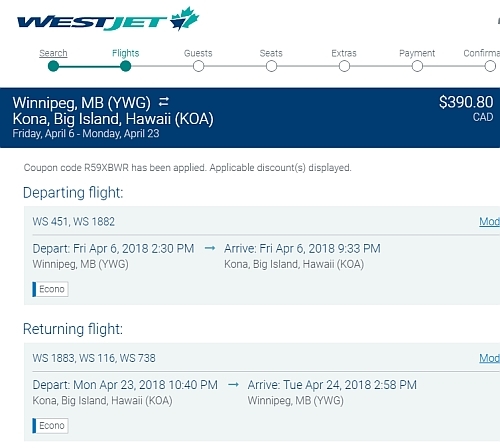 WestJet is showing flights from Winnipeg to Honolulu and Kona, Hawaii for $371 to $383 CAD roundtrip including taxes. To Honolulu, I've seen this price with multiple seats available. To Kona, I've only seen this price with single seats available on each date. 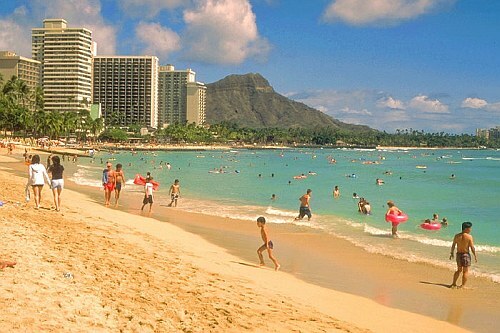 This is a new record for the cheapest flights from Winnipeg to Hawaii. 1. Start by going to the following WestJet promo code page and click on the 'Book Now' button. winnipeg, ywg, flight deals, westjet, united states, north america, honolulu, hawaii, hnl, kona and koa. 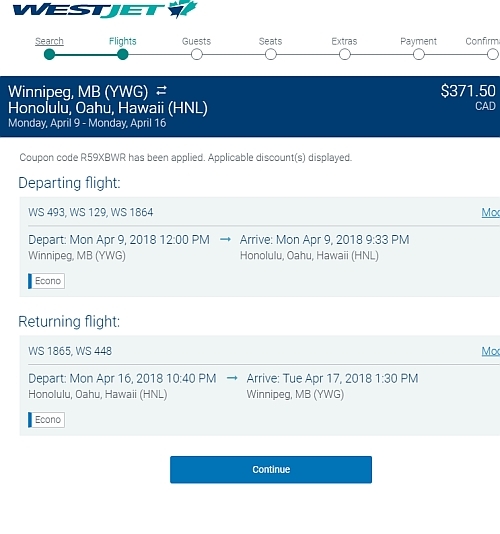 One Response to "Winnipeg to Honolulu or Kona, Hawaii - $371 CAD roundtrip including taxes | new record!" I love going to Hawaii, just be sure to check the connections . The flight back to Winnipeg, might require you to have a layover in the airport for 6 or more hours. Not so bad if you're travelling by yourself or with another adult, but throw a kid of two into the mix, you're going to wish you never went on vacation in the first place.